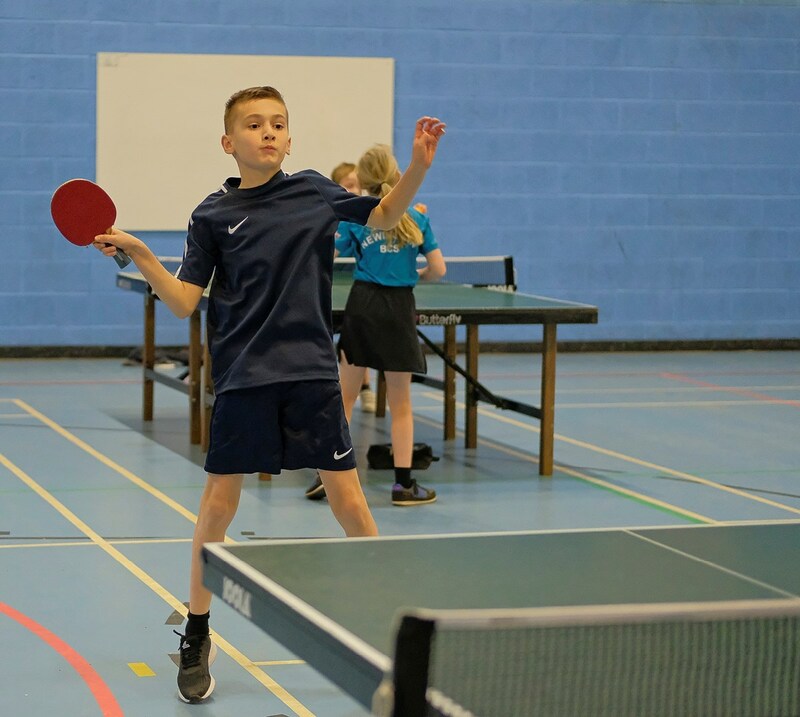 13 juniors assembled at Kidlington Forum on the last day in September for the Oxfordshire junior trials, under the direction of Karl Bushell and John Birkin. 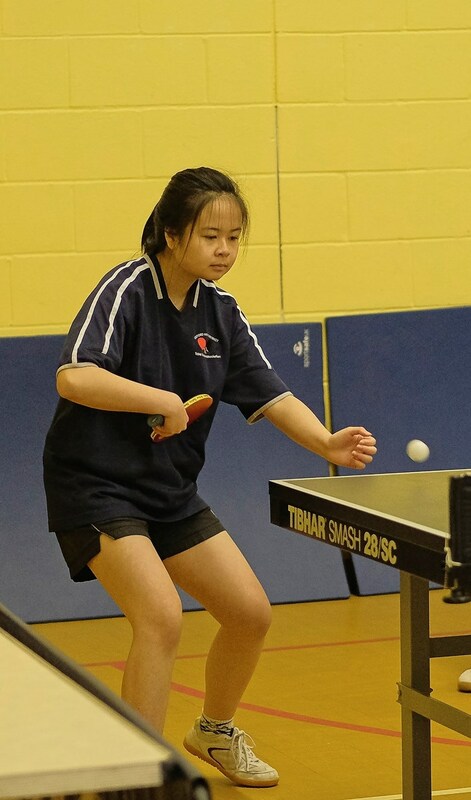 Ages ranged from 11 – 17 and they played in a seeded double group system. 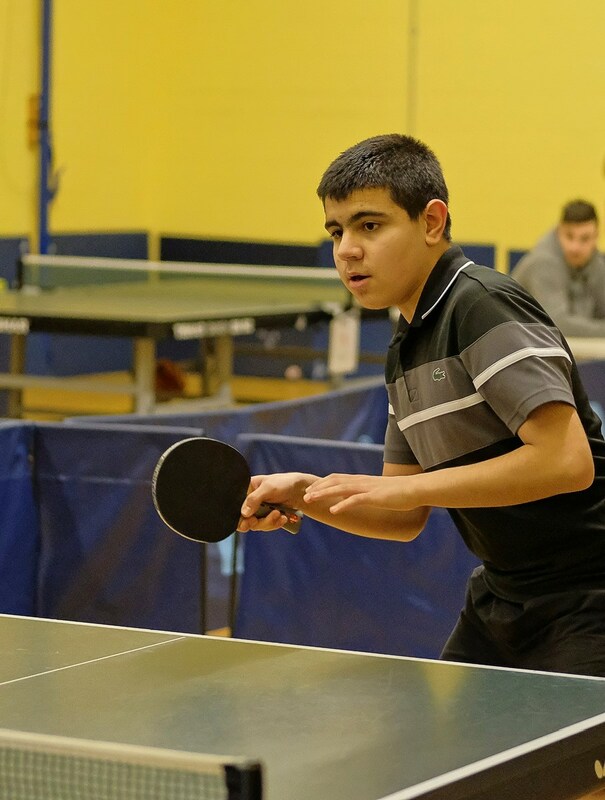 No one made much impression on Kiarash Shaddel; newly equipped with Boll Spirit + Evolution ELP, he has had some outstanding results recently and here only Arthur Anstis found some form to extend him to four exciting games. 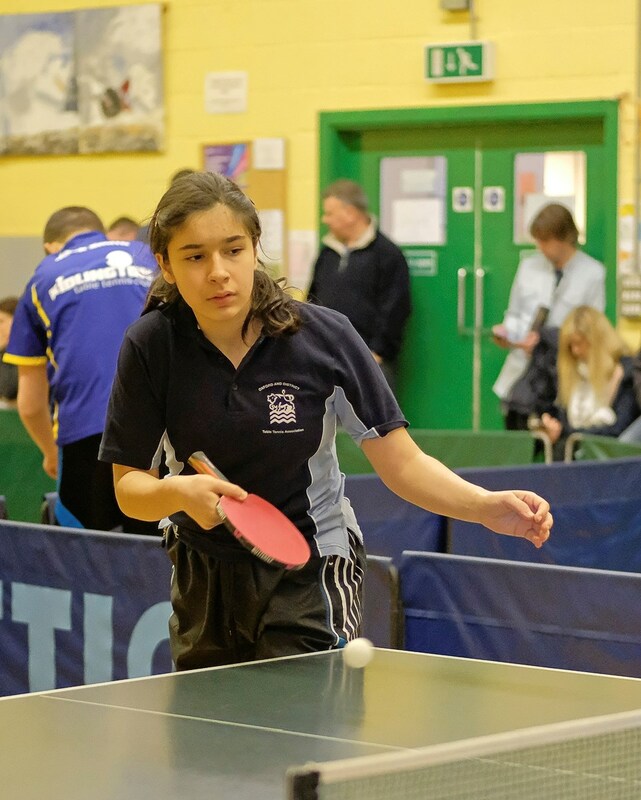 Vicky Coll and Pelin Karabulut caused some chaos in the boys’ rankings: Vicky defeated both Arthur and Bertie Anstis in straight games and also extended Ollie Keen to 11-8 in the 5th in a fine counter-hitting battle. Pelin emerged from Group D to take control of Group F by beating both Jamie McNeil and Scott Campbell. 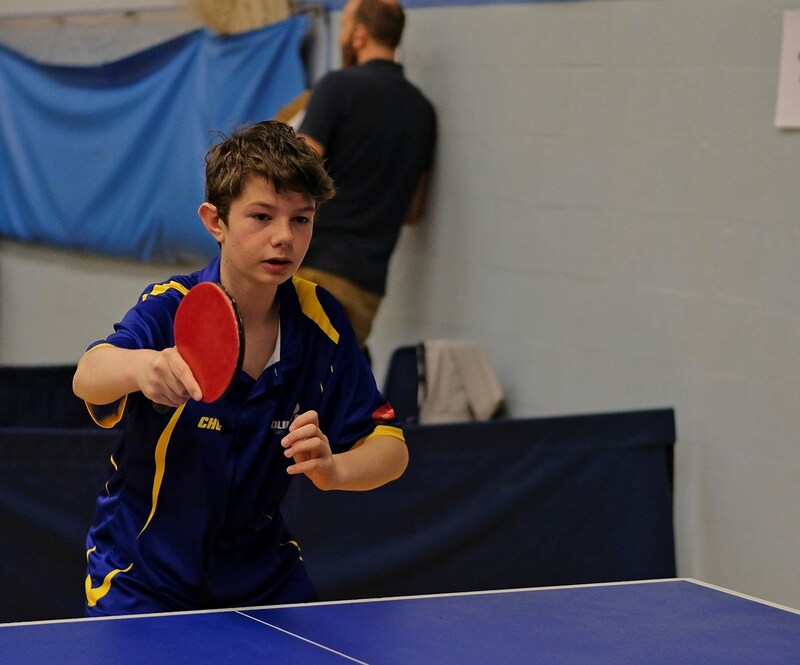 The youngest participant, 11 year-old Joseph Fisher, continues to impress with his development: he played a splendid counter-hitting match against Cooper Whitford, recovering from 0-2 down to force a decider. Joseph Fisher on his toes! To round off the proceedings there was a one-point shoot-out, won by Bertie Anstis, who beat Joseph Fisher in the final.